Ricardo Amas "before the Project opened, I had full pockets and an empty heart. Now I have a full heart and empty pockets." 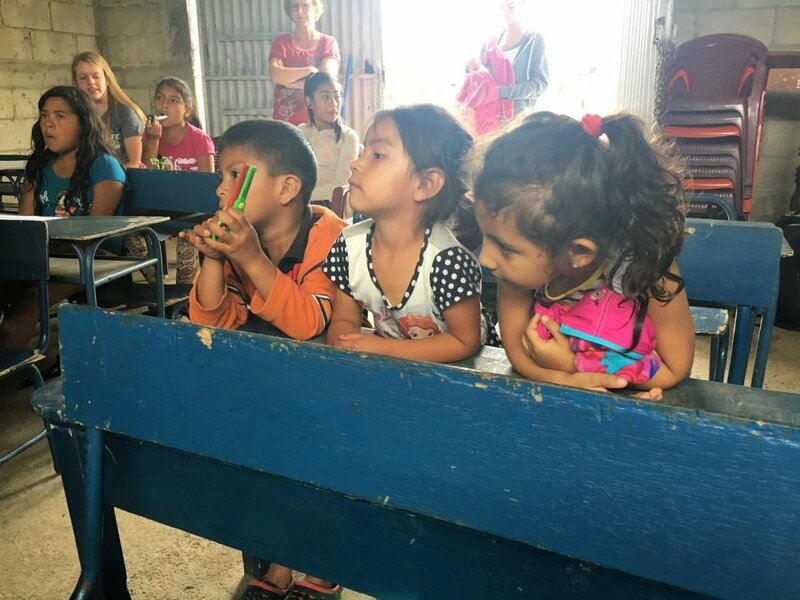 ​In November, 2016, 24 four Oak Grove Lutheran School students, (GAF Caring Kids Club members), Bob Noel, Director of Service and Leadership and GAF Board Member, teachers and parents traveled to Guatemala where they were connected with Ricardo Armas and his Project Genesis. Project Genesis is a community movement that seeks to disrupt the cycle of poverty at its roots by empowering children and families and providing a safe space where they can learn and play. Project Genesis’ purpose is to provide marginalized children with a strong educational foundation as well as nutritional support and health care. Currently, Project Genesis serves over 100 children ages 3 – 14. This past November, ​Bob’s group witnessed first-hand the work of a selfless family who is determined to give kids hope and permission to dream big! Ricardo and his family have sacrificed much in order to continue providing hope and support for the children and families in this neighborhood. Recently, Ricardo shared, "before the Project opened, I had full pockets and an empty heart. Now I have a full heart and empty pockets."
." A recent tragedy reconnected Oak Grove with Ricardo. One of the girls who was served by the Project last year, was killed in the tragic fire outside of Guatemala City that took the lives of 38 children. When Bob reached out to Ricardo, the children and he were mourning, as Ricardo knew that Project Genesis was probably the only place that this young 15-year-old girl had ever known love and support. Ricardo also shared that Project Genesis’ funding was tighter than ever and it was a struggle just to stay open month to month. Ricardo has so many dreams for Project Genesis. He envisions a thriving school, a place where students can learn trades like mechanics and electronics, a cafeteria, and a clinic. Recently, a group from Canada purchased land near Project Genesis’ current location, and they have secured funding and have begun the initial stages building a school. Bob Noel will be leading a group there in early June and members of the group will assist with the construction of the new school. Currently, Ricardo rents a very inadequate building that serves as the project’s school.